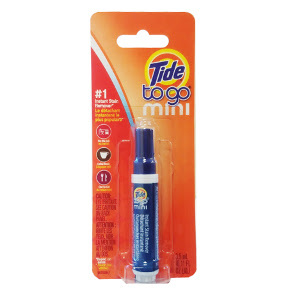 1 travel size stain remover pen. 3.5 ml (0.338 fl oz). #1 Instant stain remover. Great for: On the job, coffee break, lunchtime. Helps remove many fresh food & drink stains, grape juice, BBQ sauce, tea, coffee, wine, chocolate syrup, ketchup and more!